Management System Plus (MSP) delivers a complete set of tools that you need to manage your BHPH business in one easy-to-use package. MSP's suite of tools work together seamlessly (including integration with industry-leading solutions), letting you focus on streamlining operations and improving performance. MSP is a hosted solution which means you have full access to your data 24 hours a day, 7 days a week. We provide top-tier consulting services to new and existing dealerships in the Dealer Controlled Finance industry. Our DCF Program was developed by car people for car people and it is a combination of the best practices for sales, collections, inventory, operations and compliance. We provide each new customer with thorough one-on-one training that is designed to increase your dealership productivity. Your team will be up and running immediately. All our customers have access to free training throughout the year. Courses are designed to enhance your knowledge and productivity. We are constantly enhancing the functionality of our software to meet the evolving needs of our customer base. All customers get software updates at no additional cost. Find out how you can get started with our affordable solution today. 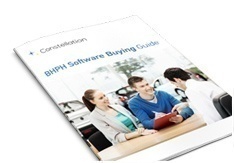 Check out what other BHPH dealers are saying about Constellation Automotive Software. We're here to help. So call us and we will be happy to answer any questions you might have.